The Clown, called Koshare, is known by many names in Hopi tradition. One of the less serious of the Katsinam, he is often depicted with a watermelon to illustrate his gluttony. An amusing figure known for overdoing it, Koshare behaves in ways that no Hopi would. Often a drummer for dances, the Clown disrupts rituals frequently. This satirical figure loves to play tricks and exaggerates improper behavior; reminding the Hopi of their community standards and the lessons they have been taught. Each Katsina doll is a symbol of the spirit being it represents. Katsinam are messengers from the spirit world who remind us of the ideals and objectives that define the Hopi lifestyle. Each Katsina can be easily recognized by its distinct features and the items it carries or which adorn the Katsina. Katsina dolls have been handcrafted for over 150 years; they were traditionally and are today made from the root of the cottonwood tree. 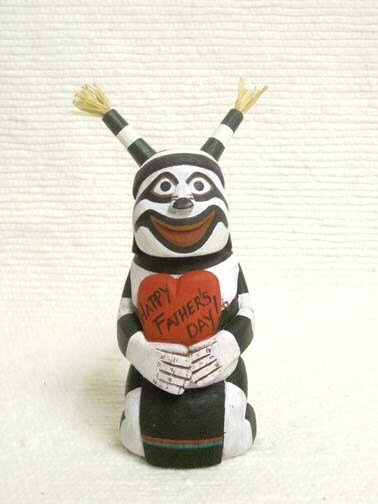 This Father’s Day, purchase the Father’s Day Katsina Doll by Neil David Jr. to bring a smile to your father’s face and remind him of the important role he plays in your family. Crafted holding a heart that reads “Happy Father’s Day” in the place of his usual watermelon, this Koshare is the perfect gift for dad. 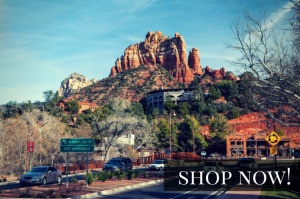 Happy Father’s Day from Kachina House!